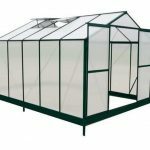 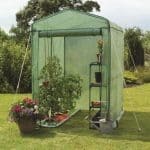 This is a large, metal-framed greenhouse that has some unique features to make your gardening a matter of ease. 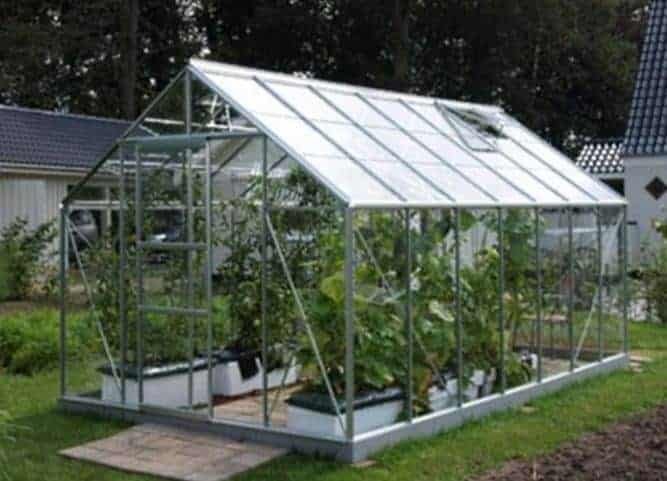 First of all, you get integrated guttering, which allows you to ensure that your plants are set kept safe and clean. 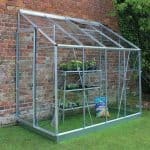 You have an optional base, and a choice of three different types of glass for your greenhouse. 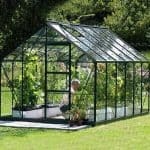 You can choose horticultural glass, which is the more common type of glass, used for a greenhouse. 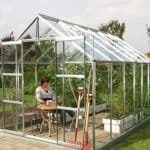 Or you can choose toughened glass, or even polycarbonate, which is virtually unbreakable. 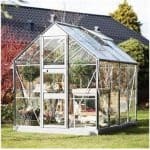 Whichever you choose, you have a durable and useful greenhouse.